Those exploring the possibility of filing for a divorce in Saint John, Indiana should be aware that prior and pending criminal cases could impact the division of assets in your divorce. This is true regardless of whether the alleged crimes were financial in nature because the court could find that the actions amounted to a type of financial misconduct. This could be grounds for skewing the asset division in the direction of the non-accused party. This is what happened in Lesko v. Stanislaw, reviewed recently by the Maine Supreme Court. It’s important to note that while Indiana, like Maine, is an equitable distribution state, that doesn’t mean everything is going to be divvied up 50-50. The court is going to weigh a variety of factors in determining what is the most fair division of marital assets. A person determined to have committed financial misconduct during the marriage would therefore most likely receive less in the divorce settlement. According to court records, the couple in this case – a family physician and a music teacher/homemaker – were married in 1992. They had a son born 10 years later. Six years after the birth of their son, the husband, who worked part-time as a piano instructor, was arrested, indicted and ultimately convicted of multiple counts of sexual abuse involving some of his minor female pupils. He began serving his sentence in 2010. Shortly thereafter, his wife filed for divorce. As a result of his criminal convictions, the father was precluded from having any contact with his son, so the issue of parental rights and responsibilities was essentially moot. Primarily, what the divorce court weighed was evidence concerning asset division. During these proceedings, both parties testified as to what assets they had amassed during the marriage. These assets included personal property, real estate, life insurance accounts and retirement and bank accounts. At the time of the divorce hearing, the parties’ marital home had been transferred solely to the wife shortly after her husband’s arrest, and was later transferred to a trust for the benefit of their son. Both sides agreed that the wife would receive the real property in the marriage, but they disagreed about how they would divide the debts associated with that property. Both individuals had taken out loans against their life insurance policies to pay down the residential debt. The question for the divorce court was how much of that responsibility each party now held. During the divorce trial, over the husband’s objections, the wife presented evidence that showed how the husband’s criminal actions impacted the family finances. For starters, some of the husband’s victims had been the wife’s patients. Her practice lost about 15 children total. Then there were a substantial amount of legal fees incurred as a result of the criminal proceedings, which the wife testified she mostly paid. Also, while the criminal matter was pending, the husband was required to move out of the marital home because he was not allowed to live with their son, per order of the court. The wife testified she had to pay for his expenses. Additionally, the husband had historically provided child care for their son, which he no longer was able to do after his arrest. These were additional expenses incurred by the wife. The court ultimately granted the divorce on the grounds of irreconcilable differences, and further found that the husband’s criminal conduct had resulted in the expenditure of thousands of dollars in legal fees, as well as a long incarceration during which he would not be able to work or contribute income. There was also a diminished income for the wife’s medical practice. Based on this, the court found that the husband’s criminal acts amounted to financial misconduct, meaning they were relevant factors in the determination of division of marital property. On this basis, the court divided the property in a 73 percent/27 percent split, with the husband receiving the lesser amount of property. The husband appealed this ruling, but the appellate court upheld the lower court’s finding. 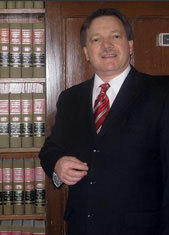 Indiana Family Law Attorney Burton A. Padove handles divorce and child custody matters throughout northern Indiana, including Gary, Hammond and Saint John. Call Toll Free 877-446-5294.